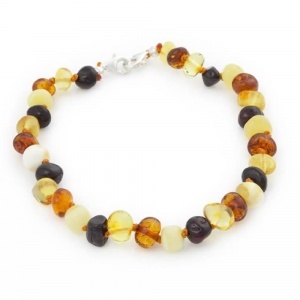 Amber Pumpkin Limited is one of the largest and most trusted online retailers specialising in childrens amber necklaces. 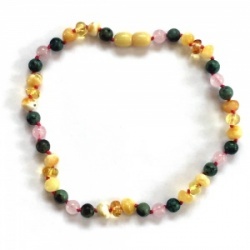 adult amber jewellery, Skibz bibs, Organic Monkey Skincare, Teething Bling, Jellystone Designs and other beautiful products. Amber Pumpkin is a GENUINE UK retailer with offices and staff based in the UK - all orders are posted from the UK. Unlike a lot of retailers, we fully comply with the ASA and Trading Standards. Beware of many .co.uk websites as many are not located in the UK. Should you have problems it can be difficult to resolve. We pay our taxes and VAT! When we set up the company in October 2009 we were struggling with a name trying all sorts of weird and wonderful combinations, some boring and others odd. It was Halloween and we were just about to start carving the pumpkin and then the name came to me and Amber Pumpkin was born! Amber Pumpkin is a family business based in Hampshire, UK and committed to offering the best customer service and prompt delivery. We have built up a successful business with much of it from referral and recommendation. We want you to be 100% happy with your order. All our amber products are made with the finest 100% Baltic amber, renowned throughout the world for its quality properties. We ship worldwide and if your order is over £35 we are currently offering FREE shipping.